A workshop on creative dance improvisation led by independent choreographer and performance artist, nunu kong. The word “Improvisation” is the term for immediate behaviour. It’s from the Latin word “eximproviso”, meaning “no preparation”. In life, we make impromptu decisions all the time as we humans must respond spontaneously to a variety of unknown situations around us, even for just a simple dialogue. However, Improvisation is frequently used as a choreographic tool in dance, for dancers and performers to build new structures or motivations of movements prompted by one’s own intuition and inner feelings. It is also a dynamic skill to stimulate the modes of thinking. Through comprehensive tasks in this workshop, you will develop and improve your improvisation skills, enriching your body expressions through creative dance. 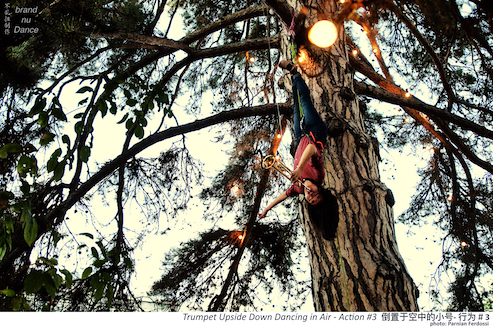 nunu kong is one of the most exciting creative minds in performing arts. An independent choreographer, producer and performance artist, nunu graduated from a unique contemporary dance programme at the Beijing Dance Academy founded by Yang Meiqi – China’s pioneer of modern dance. She began her choreographic career with the Shanghai-based experimental performance collective Zuhe Niao, which she co-founded in 2005. Following her award-winning work with Zuhe Niao, she established Brand Nu Dance in 2007, which has become one of China’s most innovative experimental performing arts exchange platforms. 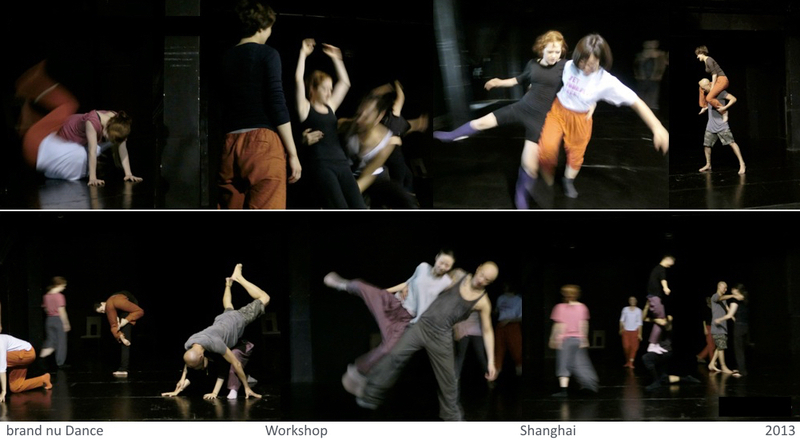 Promoting experimental dance as a new and vital medium in contemporary art, nunu has produced numerous international dance productions, commissions, workshops, and lectures, and now presents Chinese independent performing artists’ work beyond the underground. nunu is a recipient of the Doen Foundation Young Choreographer Project Development Grant (Netherlands) in 2007 and was twice awarded the Gluck Art Foundation Grant (US) in arts and education in 2011 and 2013. In 2014, she was awarded the Asian Cultural Council Fellowship for six months’ research on performing arts in New York in 2015-2016. This two-day workshop is available in both Chinese and English. EARLY BIRD DISCOUNT: Sign up before 18 March + share this article on your WeChat moments to receive a RMB100 discount! Book now: For bookings and enquiries, please ring 138 1720 4098 or book directly at the Zy Dance Studio office. Spaces are limited. Tip: Participants should wear comfortable and elastic clothing with a pair of thick socks to attend this workshop. Terms & Conditions: Payment is required to guarantee your place. No refunds allowed, however transfer to another participant is possible if you inform the organisers in advance.